Steve Mansell is married with four children. Mr. Mansell received a Bachelor of Science degree in Business at Cameron University in Lawton, Oklahoma in 1979. He received a Juris Doctorate degree from the University of Oklahoma in 1983. He is a member of the Oklahoma County Bar Association, Oklahoma Bar Association, Federal Bar Association and Oklahoma Association for Justice. 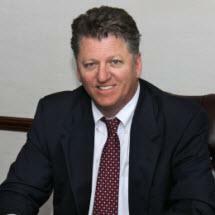 Mr. Mansell was licensed in the State of Oklahoma in 1984 and worked as a trial lawyer for several litigation firms. In 2004, Mr. Mansell was a founding member of this firm, a firm dedicated exclusively to bad faith insurance litigation on behalf of policyholders against insurance companies. Obviously, over the last 20 years, Mr. Mansell has litigated hundreds of bad faith insurance cases dealing with a wide variety of insurance policies and coverages. With concentration in this single area of the law, Mr. Mansell has incomparable experience in the issues involved in these insurance cases. In those bad faith cases that the firm tried to a jury over those 20 years, Mr. Mansell served as a lead trial counsel in all of those jury trials. His ability as a trial lawyer are reflected in his results. (See, " Case Results"). Mr. Mansell has been a featured speaker on insurance litigation and bad faith for a number of organizations, including the Oklahoma Trial Lawyers Association "Trial Masters" seminar, the Oklahoma County Bar Association Aspen Seminar, the Annual Bench and Bar conference for the Oklahoma County Bar Association, and the Annual Oklahoma Insurance Law Updates. For almost 20 years, Mr. Mansell has consistently been voted by his peer lawyers as achieving the highest possible ranking - AV Preeminent - by Martindale Hubbell, the recognized ranking authority in the legal profession. Mr. Mansell is licensed to practice in all state, federal, and appellate courts in the State of Oklahoma.